For the third straight album, Bob Mould is on an absolute tear. Like Silver Age and Beauty & Ruin before it, Patch The Sky is a tremendous collection of aggressive pop songs that prove once again that when he's in his element, no one can touch Bob Mould. It's been so great to see Bob Mould embracing this kind of heavy guitar rock again. Once upon a time, I was working in the music biz and had the opportunity to promote a Bob Mould record. He came into the office and was nice as you could imagine. We talked about what he wanted to accomplish with his current record and even took some time to chat about pro wrestling and the time he spent working for WCW in their dying days. Unfortunately the album I had to promote was Modulate, his foray into sort-of electronic music. The record wasn't very good and it didn't do very well. I felt bad for Bob because he was such a nice guy, but he just wasn't playing to his strengths. Patch The Sky plays to all of Bob's strengths. It's even better than Beauty & Ruin and comes awfully close to the level of perfection that Silver Age reached. Song after song of loud, crunchy guitar mixes with Bob's signature vocal howl. The songs are all spectacularly catchy and for the third straight album, Jon Wuster provides some of the punchiest and most dynamic drumming you could ask for. His percussive attack has really been a driving force in the resurrection of Bob Mould and and his importance on these last three records cannot be overstated. So far, Patch The Sky is the best record I've heard all year. 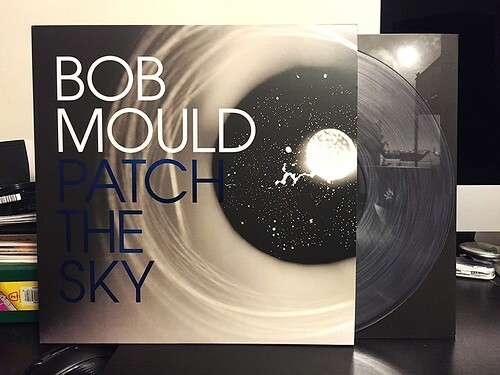 It's everything I love about Bob Mould on record and as far as I'm concerned, he can keep putting out albums like this every other year for the rest of his life. I will buy every single one.